Gareth Southgate admires Reiss Nelson but has cautioned the teenager against thinking he is automatically next in line for an England call-up. 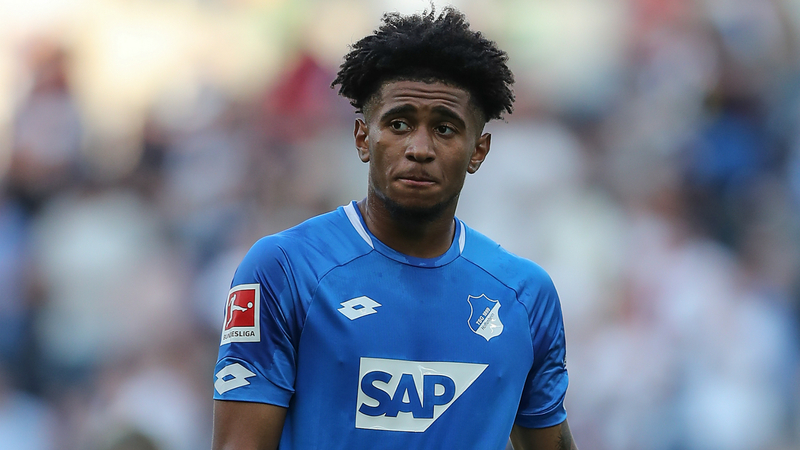 Arsenal attacker Nelson, 18, is impressing on loan at Hoffenheim, where he has scored five goals in just six Bundesliga appearances. The forward is part of England's youth setup and trained with Southgate's side in September. Fellow Germany-based talent Jadon Sancho has already graduated for his first senior cap, but Nelson is not guaranteed to follow the same accelerated path. "We really like Reiss," Southgate told reporters. "He is doing okay with Hoffenheim. We think that he and some other players in the Under-21s have got big futures. "He always impressed me in the match time he got at Arsenal. He always had a really good impact whenever he played. "I always liked his personality on the field and he is one of a number of attacking players who will push for places in the coming years. "But he is not the only one and it is important we keep pushing him. "I don't want him to be thinking that he has just got to roll up and he's the next one, because there is really good competition for places in that U21s group." England host the United States in a friendly on November 15 before taking on Croatia at Wembley three days later in their final Nations League fixture. Bournemouth striker Callum Wilson could debut after winning a maiden call-up, while Wayne Rooney will make his international farewell in the USA match.